Southeast Institute for Group and Family Therapy (SEI) is celebrating 50 years of excellence in training in psychotherapy and social change. SEI started in 1969 as the Fellowship for Racial and Economic Equality. 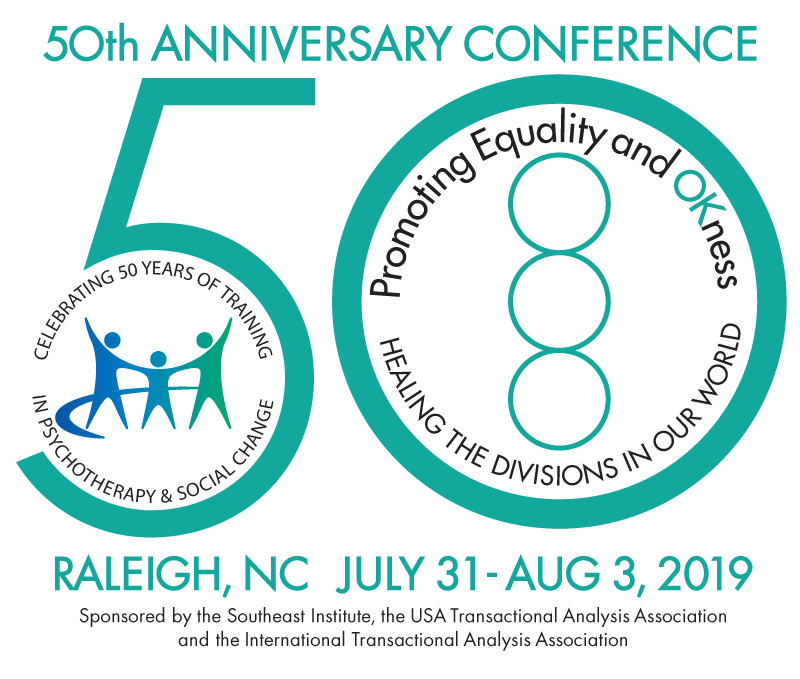 Join SEI, ITAA, and USATAA July 31 – August 3, 2019, as we celebrate this anniversary and explore how we can continue to create a healthy society for all. Click here for full details and to register to attend the conference.